Paul Schumann, a German American living in New York City in 1936, is a mobster hitman known for his brilliant tactics and for taking only 'righteous' assignments. But when he gets caught he is offered a stark choice: prison or covert government service. 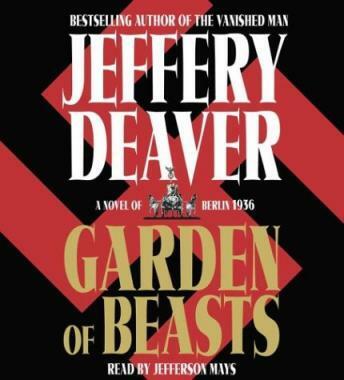 Paul must pose as a journalist covering the summer Olympics taking place in Berlin and hunt down and kill Reinhardt Ernst -- the ruthless architect of Hitler's clandestine rearmament. If he refuses the job, his fate will be Sing Sing and the electric chair.